Location: 32210 Pacific Coast Highway in Malibu. From Santa Monica, take Pacific Coast Highway for 24 miles. Turn left into the signed parking lot for El Matador Beach (just after Trancas Canyon Road and before Encinal Canyon Road.) Parking is $8 per car per day. Past Zuma Beach and Point Dume on the way to the Ventura County line, there are several small, less-visited beaches in Malibu. 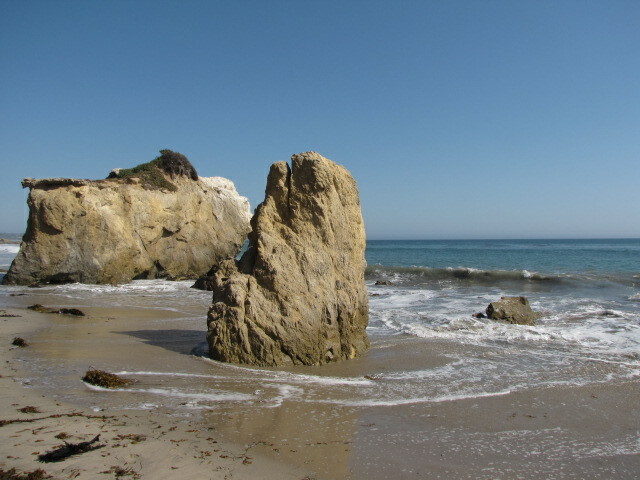 One is El Matador, where swimmers–and hikers–can see some of the coastline’s most interesting geology, including some small sea caves and rugged bluffs. From the parking area, head downhill on a steep, sometimes washed out path (families with small kids will want to take extra care here.) As you descend, you get dramatic aerial views of the beach almost immediately. The path becomes a metal staircase which takes you down to sea level. Head left (west), passing through a natural cut in the rocks. 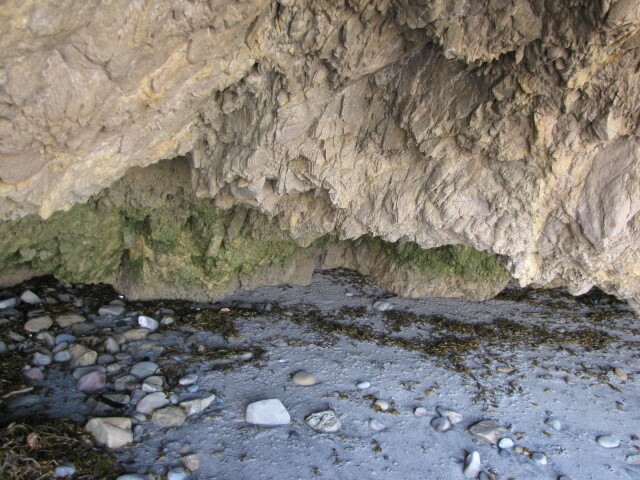 You pass a few small sea caves and eventually come to a steep wooden stepladder that leads to a private home. Beyond the ladder, a large rock outcropping blocks, for all practical purposes, any further progress. Past this, the coastline continues to La Piedra and El Pescador Beaches. The rock walls create a nice, secluded little cove where hikers can sit and watch the waves–and perhaps take a short swim–before heading back. This is really cool beach and the marbles and the stones over this area are really awesome friends………………………..